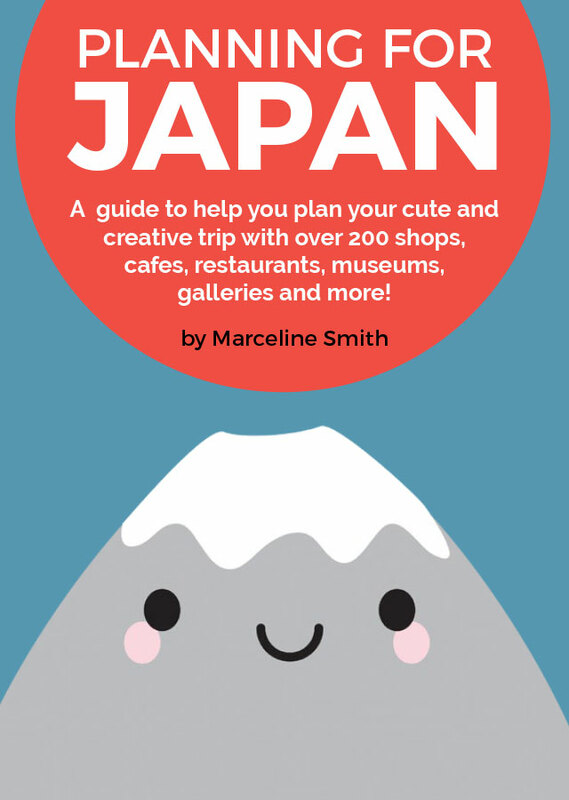 Plan a cute and creative trip to Japan with my new guide featuring over 200 shops, cafes, restaurants, museums, galleries and more! 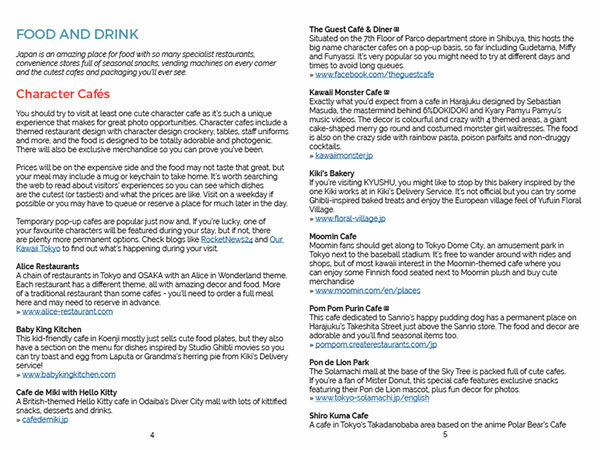 I've been lucky enough to visit Japan three times and this guide is the result of planning for my next trip in May 2016. It includes all the cool shops, kawaii cafes and intriguing museums I’ve been keeping note of, plus some resources and tips to help you plan your own dream trip. It's geared towards my own interests so if you like art, crafts, kawaii characters, reading, fashion, cute cafes and animals, you should find lots to love. With 38 pages packed full of information, it includes over 200 listings with information to help you research further and create a personalised guide that fits in with your travel plans and interests. It features ideas for all the major areas of Tokyo including Harajuku, Shibuya, Shinjuku, Ikebukuro and Odaiba but also covers the whole of Japan including Kyoto, Osaka, Nagoya, Hiroshima, Fukuoka and more. This guide is only available as digital PDF which can be viewed on your computer, mobile or tablet. It can also be printed out for reference or taking notes.